The legislation authored by Congressman Robert Aderholt confirms states’ rights to drug test SNAP recipients. 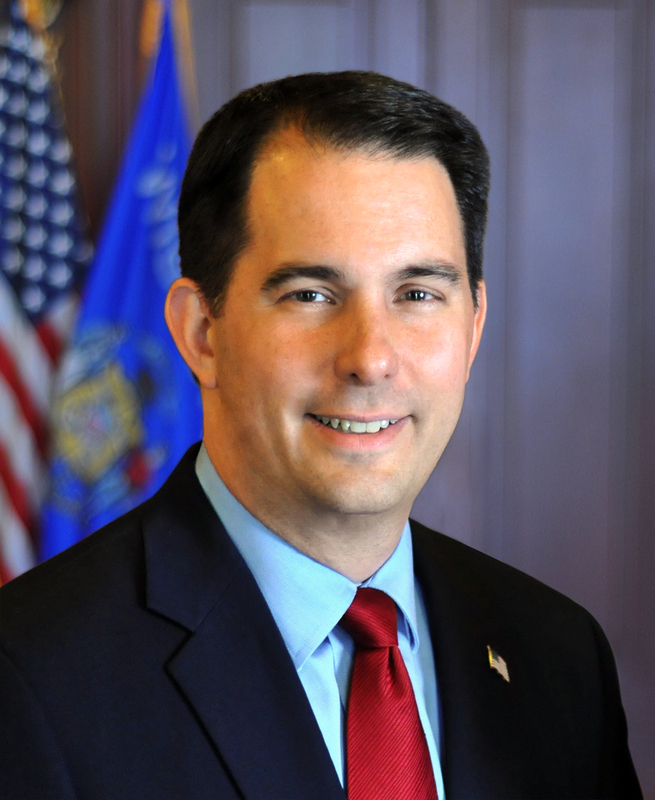 A copy of Governor Walker’s letter is attached. I’m more concerned about the drugs elected officials are taking, usually it’s the mean green. David, my thoughts exactly. I find it so hard to believe that our so-called representatives, from Vos to Fitzgerald to, yes, dare I say, even our illustrious Guv’na walker, who care about the hard working, tax paying faithful citizen such as you and me, aren’t taking drugs or at least drunk on the job. It’s either that or they really despise and hate the good people of Wisconsin so much that they need to drive us into the ground until we are a broken lot. What say you, our fine representatives? What say you? How does universal drug testing square with federal HIPPA regulations? And what kind of state requires drug tests to eat but not to buy guns? Creating a system that identifies drug abusers and helps get them into programs to end their addiction sounds horrible. I eagerly anticipate the announcement that every person working for any company that has received any form of government assistance will be subjected to a mandatory drug test so that they can get into a program and end their addiction since this is all about helping people end their addiction. Vincent, last time I checked, it is frowned upon to give tax breaks or any kind of assistance to companies who are breaking the law. You really seem to dislike laws that can do good for people if any of the supporters of the law like it for other benefits than what you might support. You need to start seeing the value in laws that provide value for both sides of an issue. AG, what about Menards? They’ve been repeatedly breaking the law & reaping tax breaks? More of the same from you, c’mon, defend the status quo some more. Amen Tim. AG, this is another bill in search of a problem that doesn’t exist, and it singles certain people out. But of course you know what’s best for other people are in position to decide that for them. Your constant defense of the status quo is so tired. You guys do understand what status quo means, right? Continuing to give SNAP benefits to people who are taking advantage of the system (I do agree this isn’t as big of a problem as many republicans believe it is, but it also happens more than many democrats admit is does) would be the status quo. Some tax payers work hard for their money and feel if someone can spend money on drugs they can save that money and spend it on food instead of using other tax payers money. Wouldn’t drug tests then only be required of people suspected of drug abuse? Or AG do you suspect all needy people are drug abusers? You did say this system was being created to identify drug abusers. So roads are created to identify alcoholics and airports are created to identify terrorists. Schools created to identify the potential political opposition. Or better yet, county hospitals created to identify those with AIDS and STD’s. You, sir, are a financial genius…if you do say so yourself! Governing Magazine is hardly a liberal rag right? The number of articles about why this is a bad idea and doesn’t save money or stop fraud or accomplish really anything positive at all is staggering. Yes, I know the game Vincent. The articles you link here don’t point out that 1/3 of Florida recipients decided not to apply for benefits once the requirements were in place. If I were using drugs in Florida and knew I’d fail the test I’d stop applying as well. Or if I was in Arizona and knew I’d fail, I’d just mark my screening questions saying I didn’t do drugs. Here’s the problem with you AG. Your paternalism stems from you seeing these things through your privileged white male lens. So it’s been established that voter fraud is not a problem. It’s been established that there’s no problem with welfare recipients sitting around getting high rather than look for a job. On the other hand, it’s likely that voter suppression will occur with the passage of voter ID laws. Stigmatization and humiliation will occur as a result of drug testing welfare recipients. But you don’t care because neither impacts you personally. You have no problem voting and you don’t need to apply for welfare benefits. Therefore as a privileged white male you side with solutions in search of a problem and downplay or ignore the very real issues that result from these bills because those issues don’t impact you. It’s extremely problematic when people in privilege ignore or dismiss real problems (voter suppression, group stigmatization) while supporting bills that address problems that don’t exist. Wow, this would be hilarious if it wasn’t so sad. I figured it was only a matter of time until you accused me of being white. Now genius, how do you explain my points of view not coming from a white person? This just proves the hypocrisy of the left and I think demonstrates better than anything that you need to step back and examine your own stereotypes. Once upon a time, racial equality meant judging people for who they were as individuals… but that’s not the case for the left anymore. You make all kinds of judgements based on people’s skin color. I feel really sad for you and I weep for where our society is headed if people like you win out. Maybe try at least a little bit to not follow the script your lefty propaganda leaders give you. AG your points of view are just as problematic whatever the color of your skin. And I could easily say the same about you (“I feel really sad for you and I weep for where our society is headed if people like you win out”) because of your views on voter ID and drug testing welfare recipients. People like you want to suppress people’s votes and stigmatize them, and that’s deplorable whatever your race is.